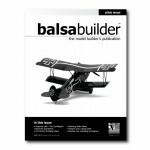 Loaded with articles to help you become a better model builder. 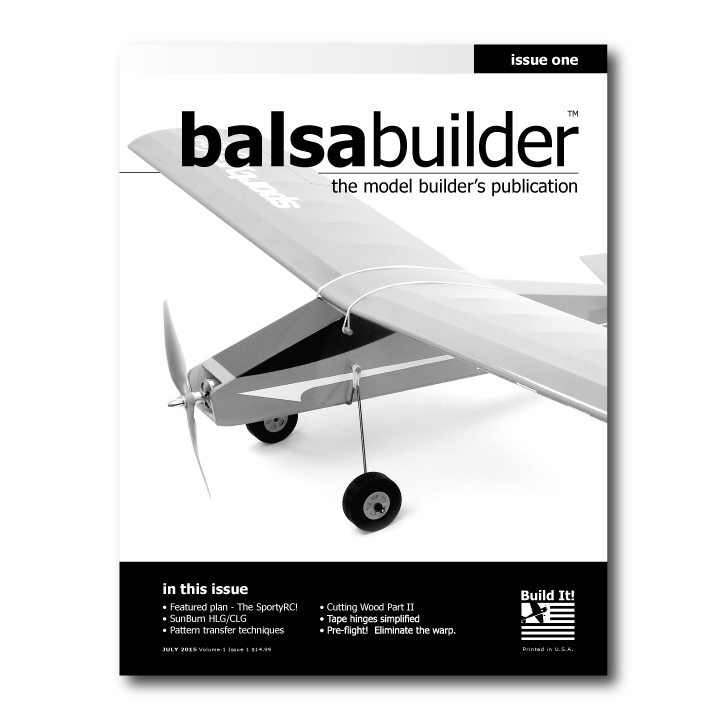 This issue features: tips to handle cutting plywood and thick balsa, sanding tech, tape hinges, pattern transfer, HLG/CLG setup advice, fixing wing warps and more! Build articles with full-size plans to construct the SportyRC and Sunburn HLG (bonus Sunburn jr.). 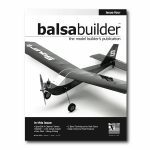 Bonus full-size plan: Sunburn Jr.
BalsaBuilder Quarterly – Volume 1 / Issue 1 (Summer 2015) – This is Issue 1 of of Balsa Builder Magazine as published (Summer 2015) in print with plans! 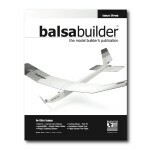 Loaded with articles to help you become a better model builder. HLG/CLG Trim chart, anatomy guide, and more! Simple method for wing warp identifciation and removal.